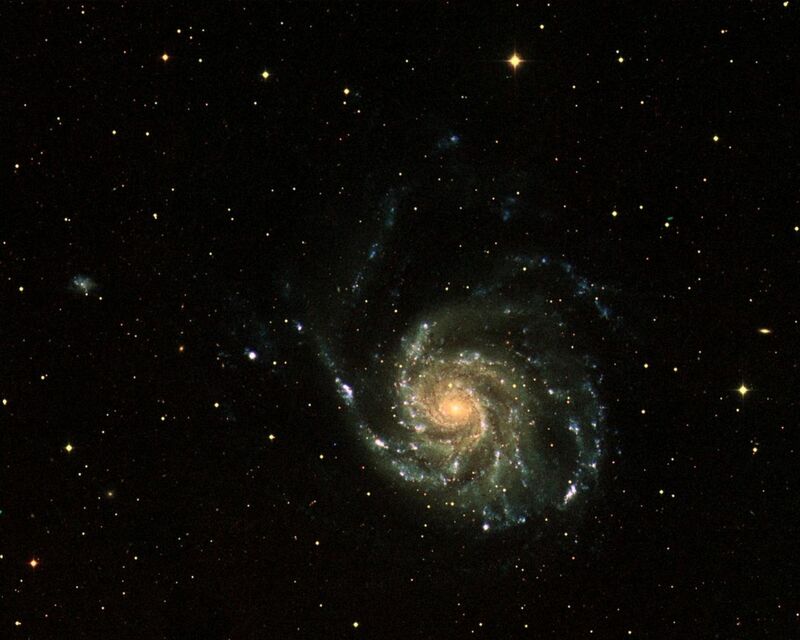 This three-color image of galaxy M101 was taken by NASA's Galaxy Evolution Explorer on June 20, 2003. The far ultraviolet emissions are shown in blue, the near ultraviolet emissions are green, and the red emissions, which were taken from NASA's Digital Sky Survey, represent visible light. 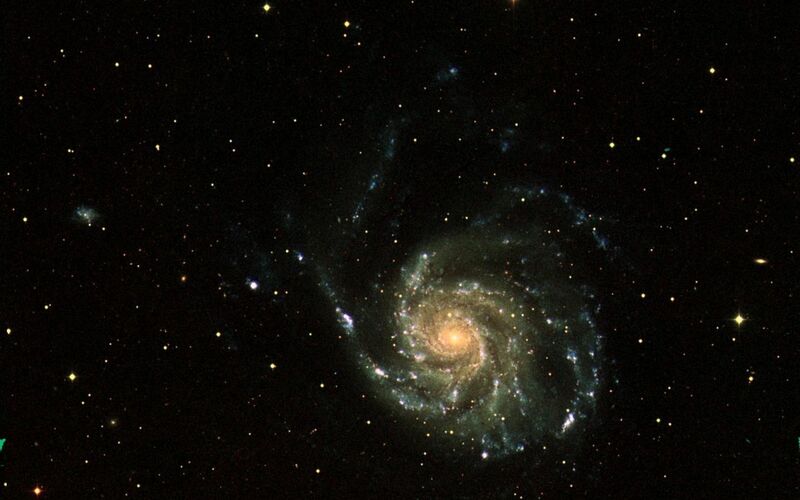 This image combines short, medium, and long "exposure" pictures to best display the evolution of star formation in a spiral galaxy. The Galaxy Evolution Explorer mission is led by the California Institute of Technology, which is also responsible for the science operations and data analysis. NASA's Jet Propulsion Laboratory, Pasadena, Calif., a division of Caltech, manages the mission and built the science instrument. The mission was developed under NASA's Explorers Program, managed by the Goddard Space Flight Center, Greenbelt, Md. The mission's international partners include South Korea and France.